My approach to teaching focuses on hands-on, praxis-based pedagogical approaches that engage students in knowledge production. This means giving students access to the resources, texts, and methodological practices that will enable them to engage actively with knowledge, rather than simply informing them about a given set of events, theories or methodologies. I have found that such an approach empowers students to take ownership of knowledge, strengthening their confidence and ability to grapple with new concepts and intellectual challenges. An example of this approach is “Community Stories” a community-based course model I designed with the support of a Third Century Learning Initiative grant from the University of Michigan. The goal of the course is to introduce students to the praxis of “history from below” by giving them a first hand experience in the methods of oral history and “critical witnessing”, archival collection, digitization, and interpretation. Over the course of the semester, students working in teams of 2-3 film oral history interviews and collect archives from women active in Chicana/o social justice initiatives in Michigan in the 1960s and 1970s. Both the oral histories and the archives are added to the Chicana por mi Raza digital archive as well as the Museo del Norte Digital collection. 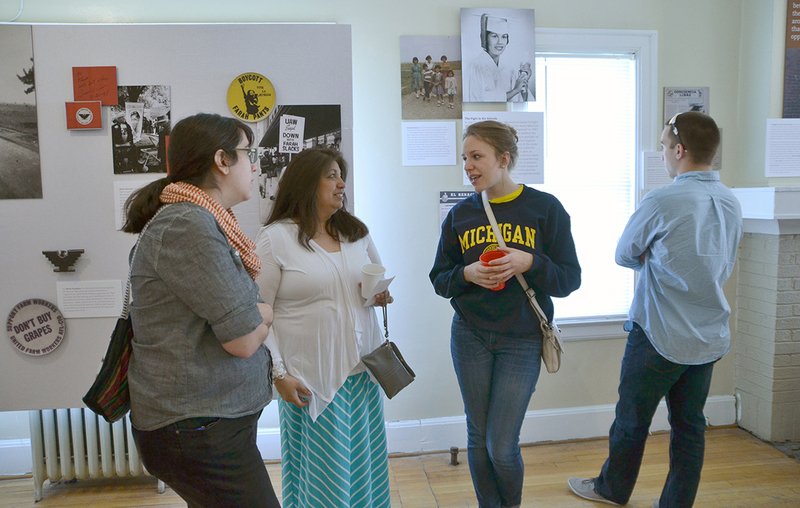 Through their work in the course, students learn about Michigan Latina/o history (from the ground up), Chicana feminism, oral history methodology, and the political implications of archival practices. 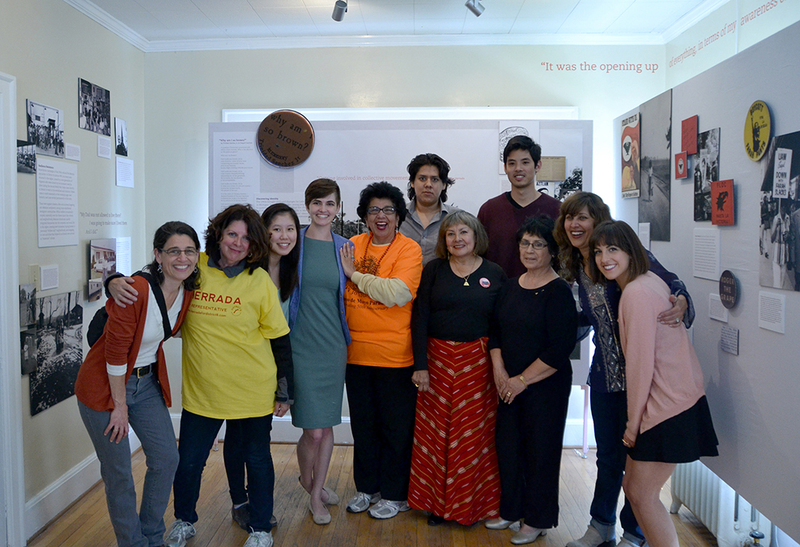 Materials collected in the course are later curated and developed into an exhibition or pop-up display for El Museo del Norte. 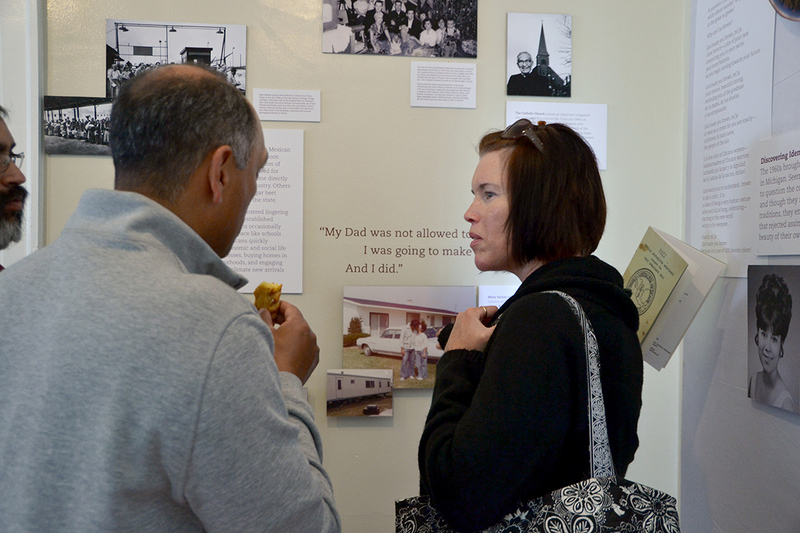 Community Stories classes are practice-based, training students in the real-world skills they need to forge their own collaborative local history projects, whether minor or major. The course gives students an “insiders” view on how history is made, productively demystifying the authority that historiography holds, and teaching them that each one of us has the capacity to “make history,” especially in the digital age, when archives stored away in attics, basements, and closets, and long untold oral histories can be easily digitized and shared online. But the course tempers any unreasonable web 2.0 euphoria by also teaching students about the rigors and scholarly conventions of oral history and archival research in the digital age. For those students who work on the curated display, the experience allows them to learn from the ground up about how curators take the raw materials of history and create rich narratives that do not reduce its complexities. Moreover, they learn how to do this work in collaboration with both the scholars who have collected this material as well as the community from which it emerges. The process then, is enriched by the complexities of community collaboration in the co-creation of knowledge. The Community Stories experience, begins to answer the questions that students always seem to be asking: “why are we doing this assignment?” “What is the relevance of this work to the ‘real world’?” “How can I use what I learn here to change that world for the better?” I believe that the best way to answer these reasonable questions is by: 1) by taking students out of the classroom and showing them the stakes of history and art; 2) by introducing them to scholarly/community collaborations that are doing this work in both local sites and digital environments; and 3) by showing them how one small group of people, working collaboratively, across differences of generation, race, class, and region can “make” history, in all of its multitude. The Community Stories project re-imagines student learning by taking students out of the classroom, by giving them meaningful work to do that makes significant and permanent contributions to scholarship, and by showing them how to share what they have learned through both new media and more traditional formats. Most importantly, we want them to learn that scholarly work can make a difference in local communities. The course is a model for the kind of creative and synergistic cross community collaboration (between institutions; communities and institutions; schools, departments, and libraries within an institution; and between national and local history projects) that will characterize the engaged pedagogy after the digital turn. Community Stories is imminently “scalable” in the viral sense — though as a course it necessarily serves a small group of students, it is a model that can be replicated in multiple iterations and applied in a wide variety of community/university partnerships. To that end, I have been working with the Center for Research on Learning and Teaching to develop a “teaching toolbox” which will be made available to scholars and teachers through both the Chicana por Mi Raza Digital Archive website, and El Museo del Norte’s “museum without walls” website. This “teaching toolbox” will include videos on how to conduct oral history interviews, sample syllabi, digital archiving “best practices”, reading lists, and other material that teachers across the country can use to develop Community Stories projects at their own colleges and universities.